Churchill warned that scientific progress would outpace character growth. One common subject of discussion these days is the effect of science and technology on mankind and our future. Do Google and Facebook help or hurt? Will artificial intelligence technology generally benefit or impair society? The list of questions born from this subject is long. Winston Churchill wrote an article, published in Strand in 1931, addressing this subject: “Fifty Years Hence.” Don’t let its age fool you. In many ways, it could have been written yesterday. Churchill recognized, even in 1931, that the terrific forces being unleashed by “science” were transforming civilization. Societies that for millennia had been empowered by “muscular energy” were beginning to rely instead upon “molecular energy.” New discoveries produced new technologies and inventions that revolutionized every facet of human existence, from industry to politics to economics to war. The problem, Churchill noted, isn’t with science and technology per se as much as with the nature and character of humans. “Certain it is that while men are gathering knowledge and power with ever increasing and measureless speed, their virtues and their wisdom have not shown any notable improvement as the centuries have rolled” (emphasis added throughout). Churchill worried that mankind’s acquisition of the powers of science and technology was rapidly outpacing mankind’s acquisition of the character, discipline and “nobility” needed to refrain from using those powers to hurt human civilization. He worried that the foremost contribution of science would be equipping human beings with the means of destroying culture, society, government and, eventually, the human race. 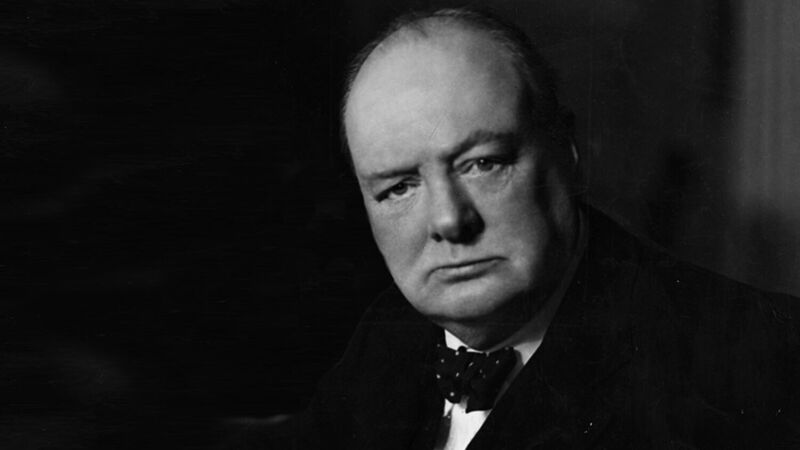 Churchill warned: “Under sufficient stress—starvation, terror, warlike passion or even cold, intellectual frenzy—the modern man we know so well will do the most terrible deeds, and his modern woman will back him.” Look at politics and culture today: There is evidence of a “cold, intellectual frenzy,” most notably among the radical left. No one can dismiss Churchill as a man ignorant of the extreme value of science and knowledge. As a historian, he made a living acquiring, distilling and communicating knowledge. As a military and political leader, he encouraged scientific development and was the architect of more than a few inventions. Unlike most intellectuals, however, Churchill recognized many of his limitations—and, more significantly, the limitations of science. Despite its splendid virtues, science, he concluded, “does not meet any of the real needs of the human race”! “Fifty Years Hence” thus concludes by resurrecting questions that have perplexed mankind for thousands of years, questions that even Churchill could not answer. Why are we here? What is the purpose of life? Where are we going? These questions lie at the core of every discussion about science, its impact on mankind, and its role in our lives. But these questions are generally ignored. Why? Because we have no answers. We have ideas, guesses and speculations, but no hard, demonstrable truth. Aren’t you interested in the answers to these questions? Why man was put on this planet—the purpose of life—where human civilization is headed? Wouldn’t you like to understand why science—despite its many fantastic contributions to civilization—has brought mankind to the brink of extinction? You can have the answers explained to you clearly, logically and with plenty of biblical proof. How? Request, then study, Mystery of the Ages. Written by the late Herbert W. Armstrong, this book could be your “merciful deliverance” from our nightmarish world. Take the opportunity to obtain a free copy of this, the book Winston Churchill needed most.